No parent would ever want their child to be dumb, right? You care, and want them to be smart, confident and successful. There are major changes going through a baby and small child’s head through their first 5 years. Those first 5 years are considered the most important. Many studies have shown the benefits of reading to children. Child development is defined as the changes that occur as a child develops and grows into the person they will be. Physically, mentally, emotionally, and socially are the ways that a child can develop. The first 5 years are the foundation for a child’s future. The brain is at a point where it will map out how the child will think throughout life based on the first 5 years. So how can you make sure your baby is getting the most out of their first 5 years? Reading, although it’s a small task, can make all the difference. 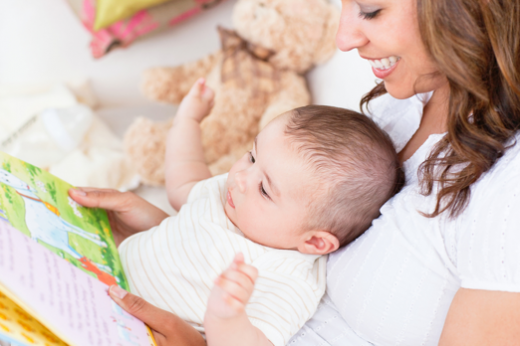 So when should you start reading to your baby? You can start reading to your baby when it’s in the womb. “The new research suggests that babies began to absorb language when they are inside the womb during the last 10 weeks of pregnancy.” http://www.webmd.com/baby/news/20130102/babies-learn-womb Studies suggest that just talking to your baby during those last two weeks can give them a basis for language. By the time a baby reaches their first birthday, they will have heard almost all the sounds needed to start the basis of language. This is why most babies begin talking around 1-2 years of life. Even when babies don’t exactly know how to process the words when they are born and can see and focus on pictures, they can learn things from them. They can learn about patterns and faces and colors. 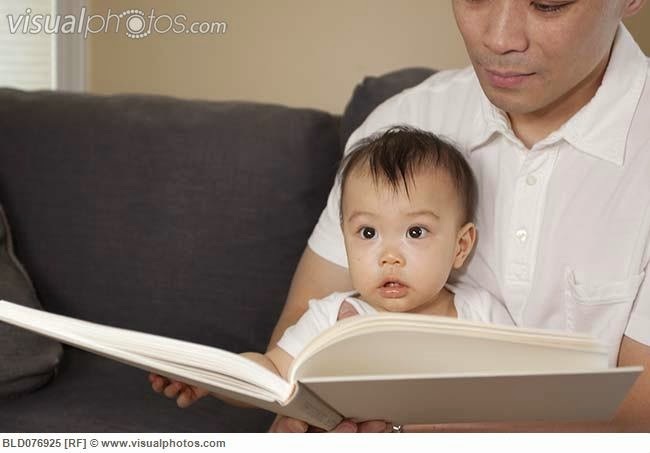 Reading is also a soothing and bonding time for you and your baby. After about 5 months, your baby will become more interested in books. This is when buying books with rhyming text and bright colors are important, because they may realize the patterns. After 6 months, your baby will start to understand what pictures may represent and if a book makes sounds they will realize what they represent. Reading is a great thing because it only takes a book and you and your baby. So how can you make reading the best experience for your baby? When you read with expression by giving the different characters in the books different voices this can help your baby understand expressions and emotions. You can ask your baby questions about the book while reading. Make your baby be observant by asking questions not about the text, but about the pictures. Reputation is always good and baby’s love and learn from it, so reading the same book twice is more than okay. 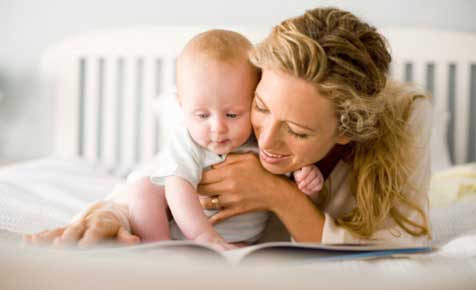 Reading creates bonding time by cuddling and spending fun time with your baby. Make reading very fun for your baby by creating a safe, happy environment. 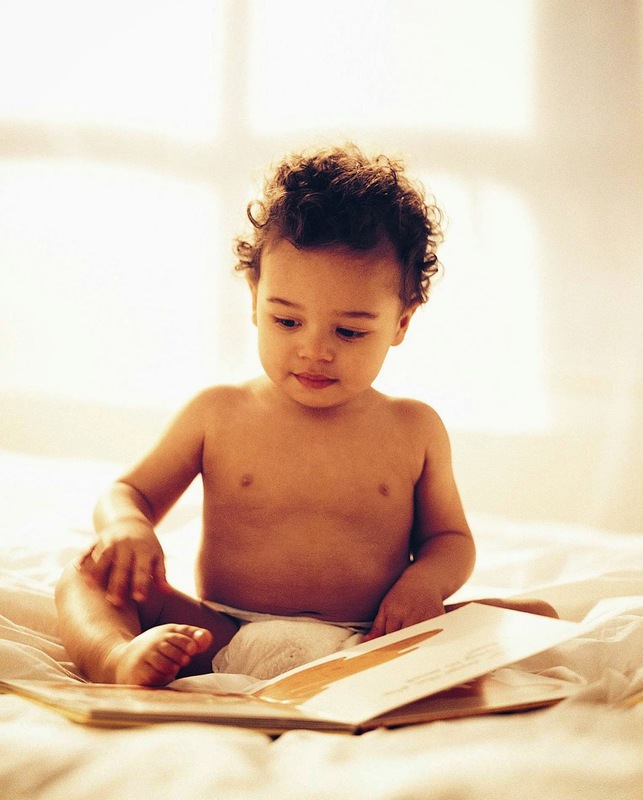 So how does reading benefit your baby for a lifetime? Kids health brings up a good point, “But you wouldn't wait until your child could understand what you were saying before you started speaking to him or her, right?” http://kidshealth.org/parent/positive/all_reading/reading_babies.html# That is right! You want to speak to your child from the moment you see him or her. Reading is a very important part of early brain stimulation. It teaches a baby about the world around them and communication. It also introduces numbers, letter, colors, and shapes, and builds listening, memory, and vocabulary skills. Also, the baby could learn various artistic skills from certain types of picture books which can be a valuable emotional tool. Babies want to learn, this is true. However, sometimes a baby may reject reading! Scholastic.com in the parenting section on reading to your baby states, “Your infant may have seemed relaxed and ready to settle in to "read" with you, but after one page he starts squalling. Just put the book aside; he or she will have a better moment again soon.” Babies can be difficult, and I know some adults who still don’t like reading (probably because they weren’t read to as babies). Know, that it is okay when your baby mouths or chews on books, eventually they will know what the book is actually for. For now, however, this is just how they explore things. Sometimes they may get distracted and crawl away when you’re reading but don’t feel bad. It’s normal for babies to get distracted with things and they will probably come back around and start listening again. Sometimes, reading to your baby takes a large amount of patience. Remember, even though he or she can’t show you everything she’s learned yet, you will certainly see the fruits of your labor in the future. I hope by reading this you have a better understanding of what kind of benefits await a child who has been read to throughout childhood. The highly important reading comprehension and memory skills will prove a great asset to your child in the future of school, college, jobs, and life in general. I am a product of a baby that was read to. I have good reading comprehension skills and it has helped me a lot in college and beyond. I remember being read the classic Whinnie the Pooh stories, Pat the Bunny, and Goodnight Moon. And now I am very successful in subjects like English and Political Science. Reading however, is entirely useful in every subject, even math and especially science. You will not regret reading to your baby. I really like your research report and the topic!!! Your report is well organized, and it was easy to read. There were a few grammar errors but over all, it was a good report. You used a lot of resources and I feel it helped build your report with a lot of facts and other things. Very informative paper. You get straight to the point, and you put it down well, with good facts, and resources. Well done. It is very interesting makes me want to read more myself.